I feel like the homemade crunch keto chips are a myth. Or, at least, with every other recipe I've tried it seemed to be a myth because a recipe that calls itself a “chip” should have a major crunch factor to it. Am I right? Well, today, we have successfully mastered the crunchy keto chips! And I mean crunchy!!! They are so crunchy that I took a little video clip of my husband biting into one of them because you can really hear the crunch!! They are extremely satisfying! You know how I got the idea for this recipe? 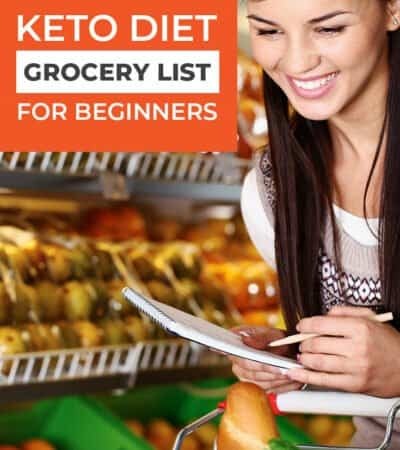 I was looking at all the main ingredients for keto friendly foods that are crunchy and Whey Protein Isolate is always at the top of the list. 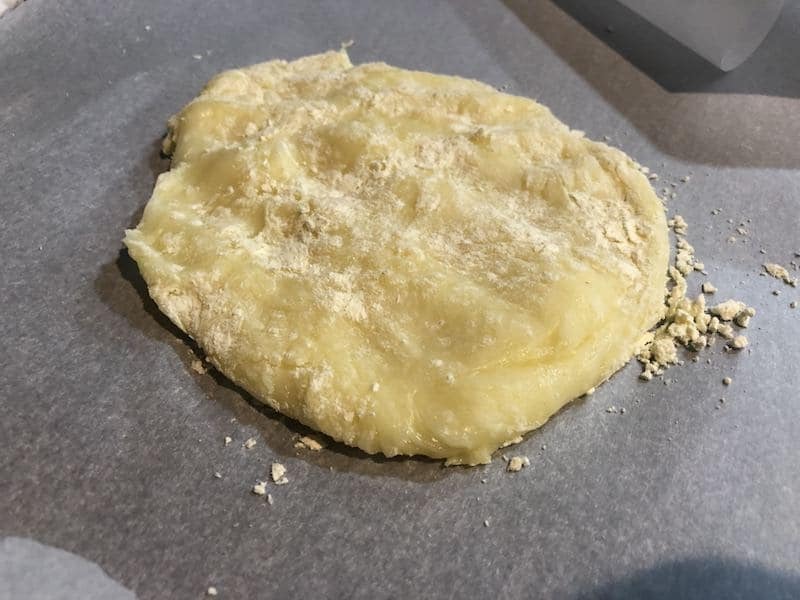 I decided to take what I know about the Keto Fat Head dough recipe and try to attempt to make it crunchy. But, I also wanted this recipe to be simple so I started simple. I didn't realize the first time I made these crunchy keto chips they would be a big hit! 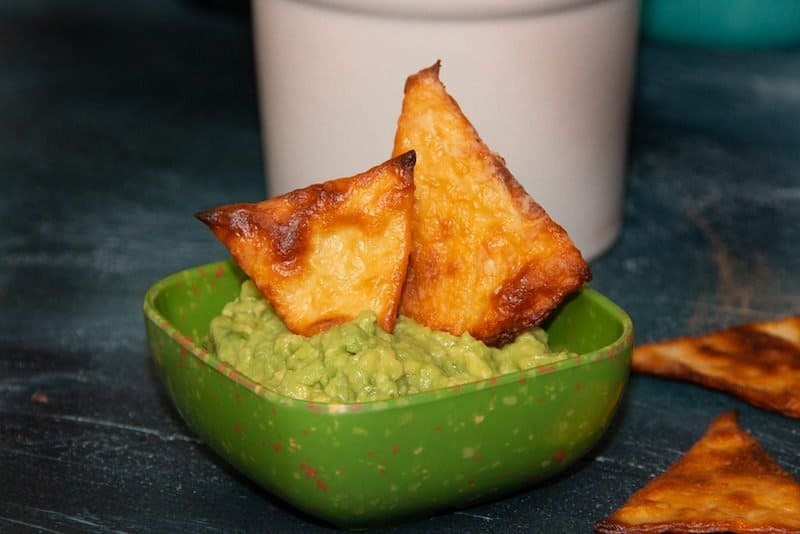 In fact, such a big hit that my husband made his famous Guacamole recipe and it wasn't long before all the crunchy keto chips were GONE! Oh! And, they held up to dipping them in the think guacamole dip too! That's a strong chip! Here's the secret ingredient to Crunchy Keto Chips! You can use either or because they both do the same and pretty much taste the same too. Place the cheese in a microwave safe dish and heat it for about a minute until the cheese has melted. Immediately mix in a [1/2] cup Whey Protein Isolate and stir. Lay out a large piece of parchment paper and place the [1/2] dough in the center. Tear off another piece parchment paper that's the same size as the first sheet. Use your hands to spread out the dough as much as you can to make a large rectangle. 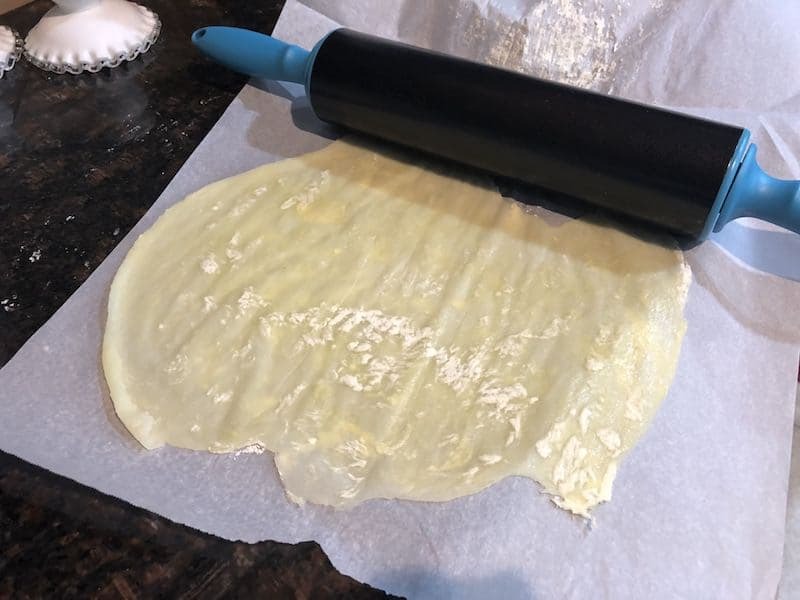 Then use a rolling pin to roll it as thin as possible! I mean really thin! 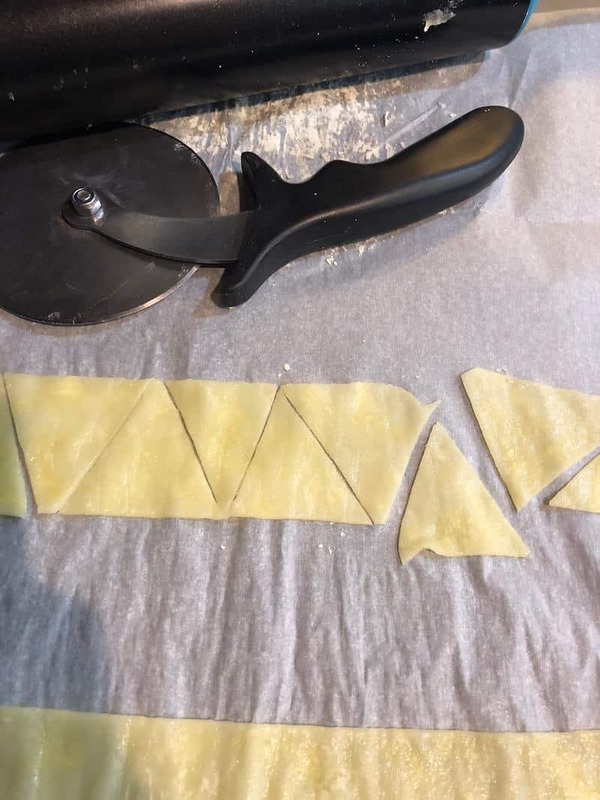 Use a pizza cutter and cut out little triangles as seen in the process photos below. 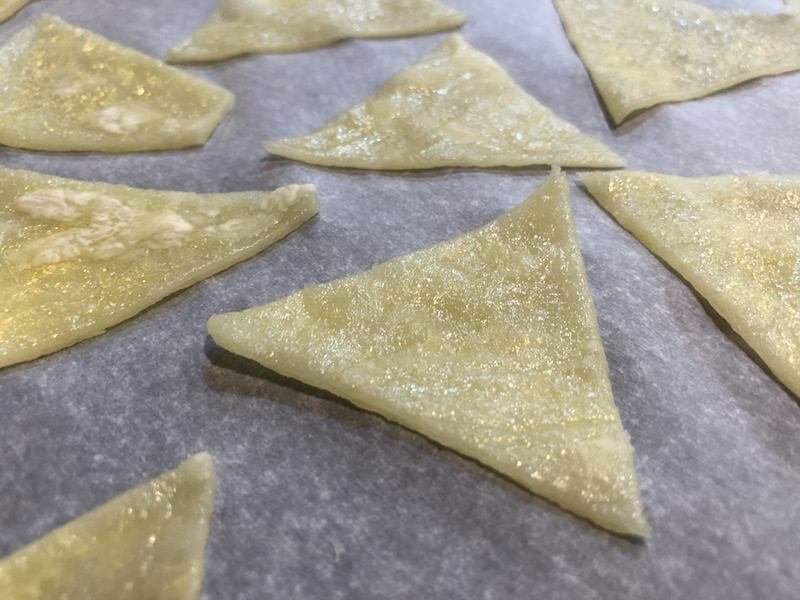 Use the top piece of parchment paper on a large baking sheet and place the triangles on the baking sheet leaving a little space between each chip. Place them in the oven and bake them for about 8 to 10 minutes at 350 degrees. It's important to note the baking time will depend on the amount of time you need to cook them. You will notice them turn a deep brown color. Don't let them go longer than a deep brown because they can easily turn to a burnt color pretty quick. Watch them carefully. Also, be sure to place them in the center of the oven so one side doesn't cook quicker than the other. No need to turn them over either. Be sure to allow them to cool for about 5 minutes before you touch them. 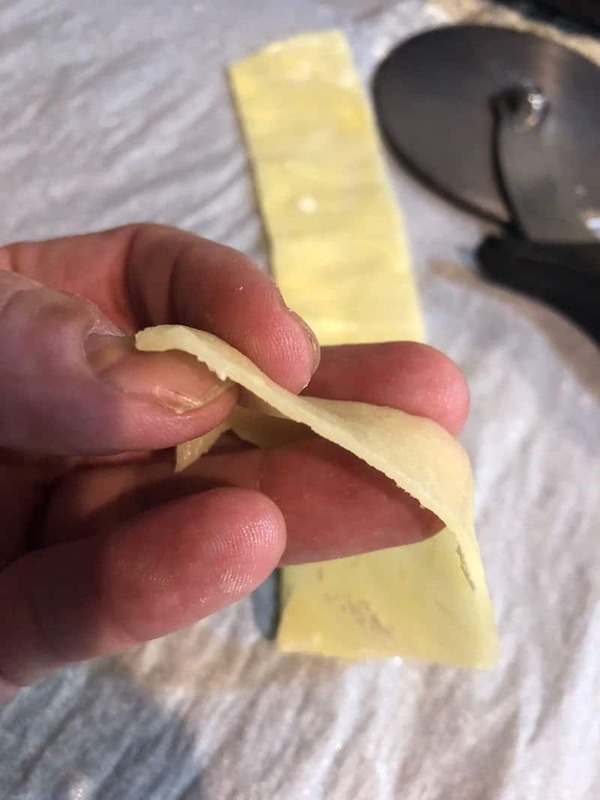 This recipe makes about 40 to 50 chips depending on how big you cut them and how thin you roll out the dough! I cut them into 2 inch size chips. Here are photos we took when we made this delightful Homemade Crunchy Keto Chips Recipe! 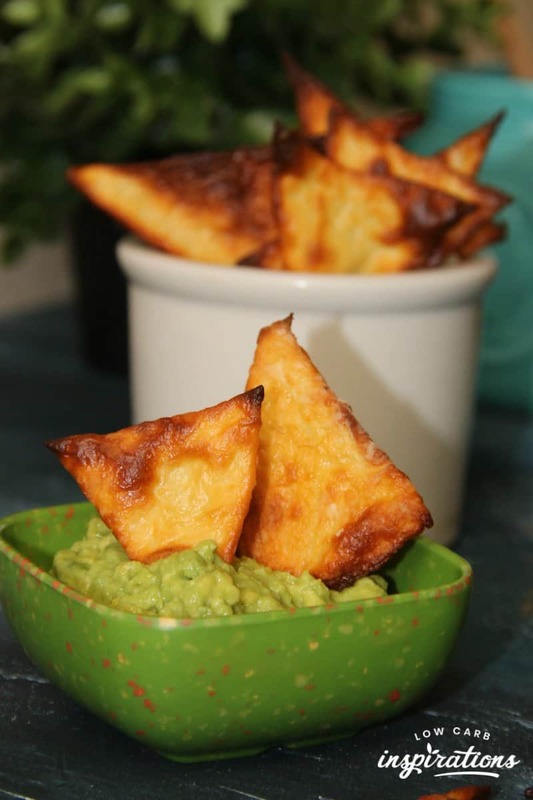 Keto Chip Recipes like these are definitely keto friendly. You have to be very careful to watch the ingredients to make sure there are no flours, starches, or sugars in the ingredients. Are there any keto chips you can buy at the store? Yes, if you want to buy chips on the go, Quest Protein chips are not bad at all! I keep a bag on hand whenever I want a snack on the go. 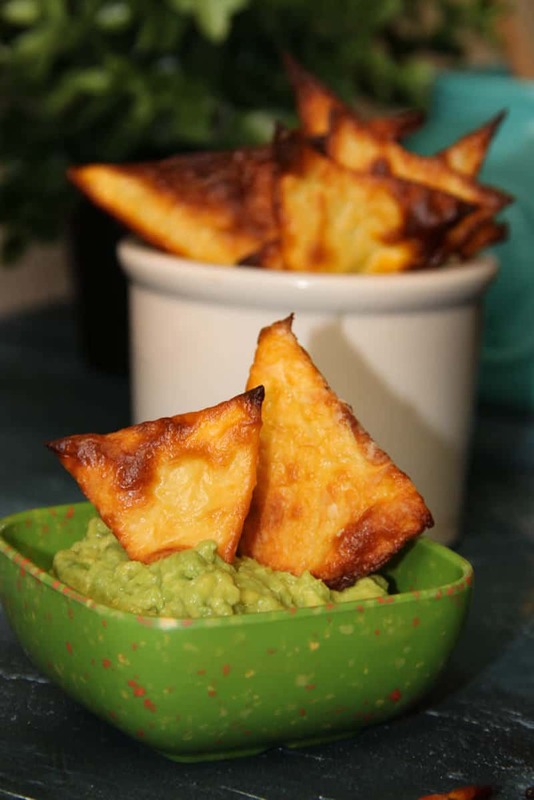 Are tortilla chips keto friendly? 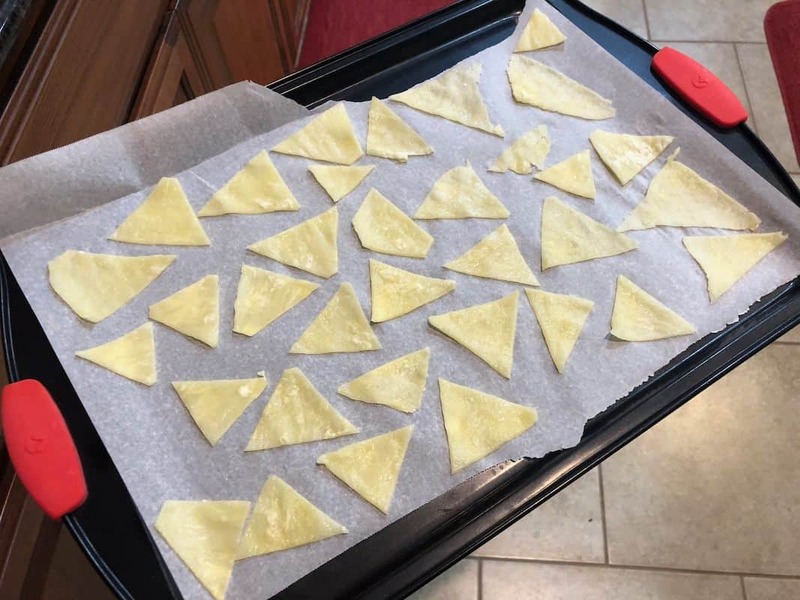 No, tortilla chips are not keto friendly because they are made with flour. You can purchase the low carb tortillas and make tortilla chips if you are following a low carb diet but they are still not keto friendly. Are plantain chips keto friendly? 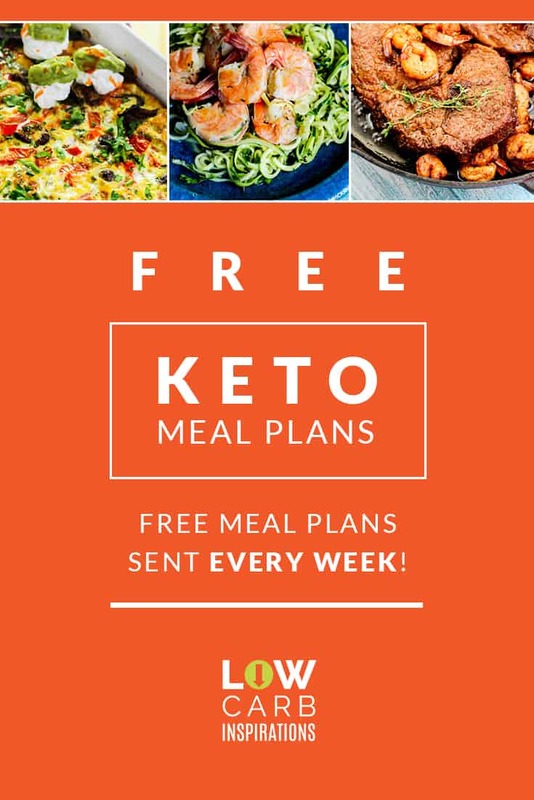 No, plantains are not keto friendly. 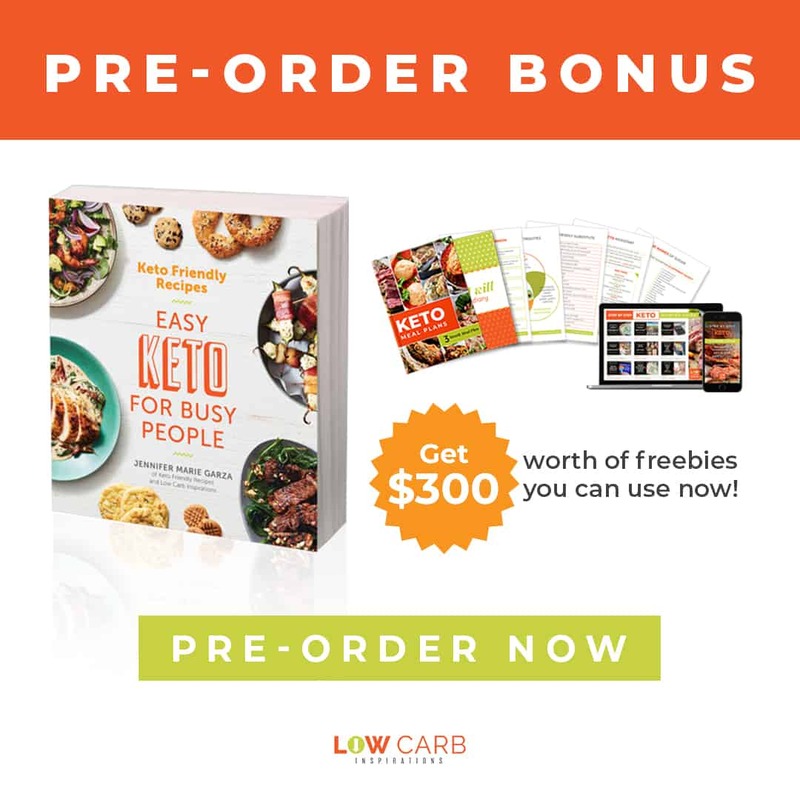 Are potato chips keto friendly? No, potato chips are not keto friendly. No potatoes are allowed on the keto diet. Are Quest chips keto friendly? Yes! If you want the perfect snack for on the go, Quest Protein chips are a good choice! They have tons of flavors too! 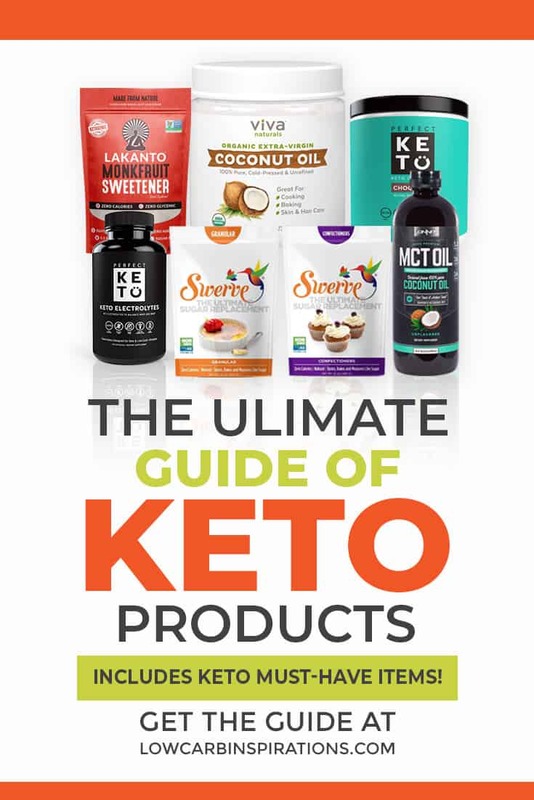 Are veggie chips keto friendly? 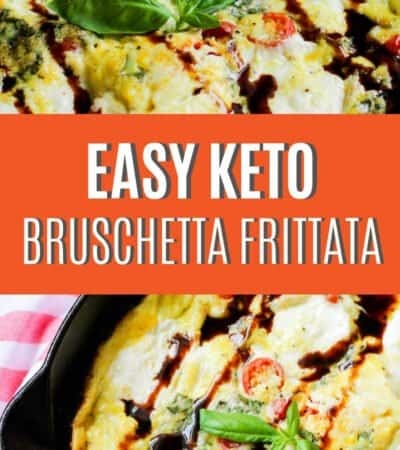 No, they are not keto friendly because of the added starch ingredients on that label. Be very careful to read all the labels to see what the actual ingredients are. 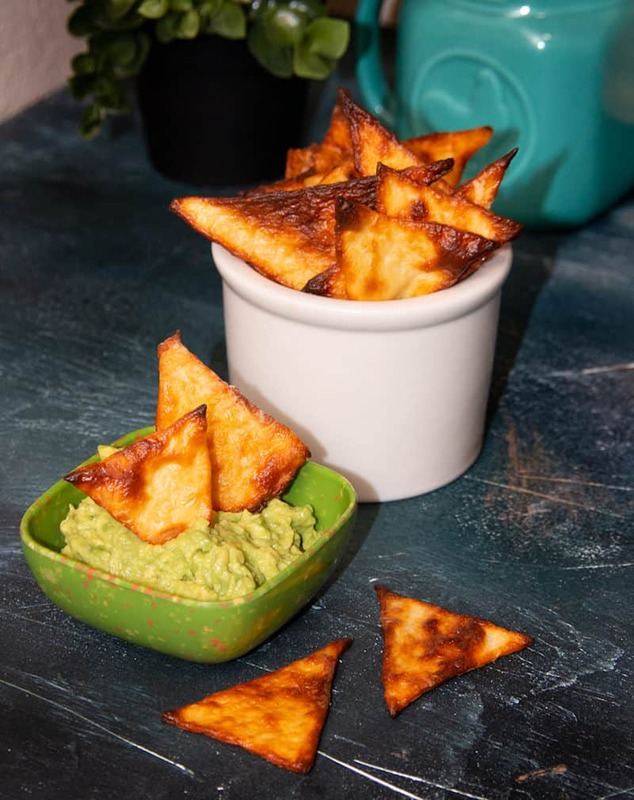 Are pita chips keto friendly? No, pita chips are not keto friendly. Are Terra chips keto friendly? Even though Terra chips are made out of vegetables, you won't eat root vegetables on the keto diet because of the starch. 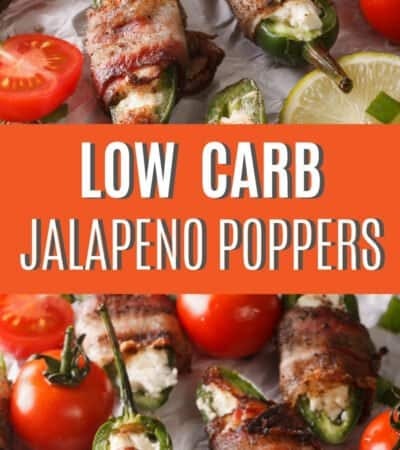 These are not considered to be keto friendly. Are banana chips keto friendly? No. Bananas are not allowed on the keto diet. They are way to high in sugar and carbs. If you enjoy this recipe, we just know you will also enjoy this Low Carb Cheese Crackers Keto Friendly recipe too!